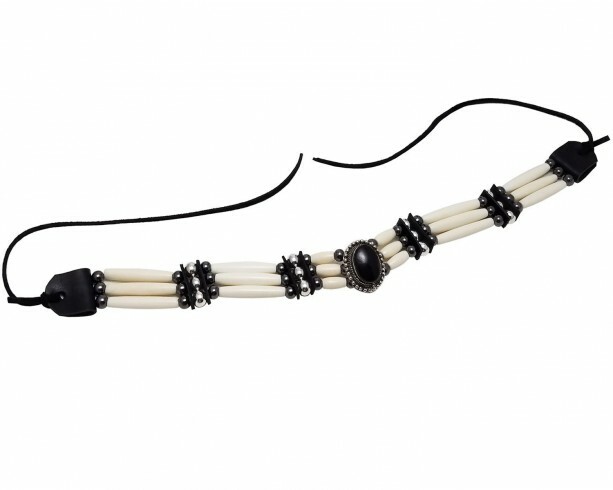 - Made from authentic buffalo bone hairpipe beads, 6 mm gunmetal beads. 8 mm silver plated metal beads, and genuine leather. - 13 inches long (not including the leather ties). 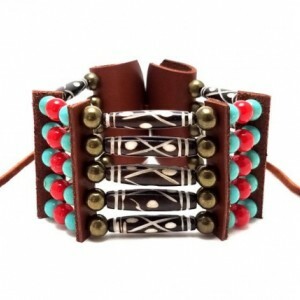 - 3 strand traditional tribal bone choker. - Lead free metal beads. 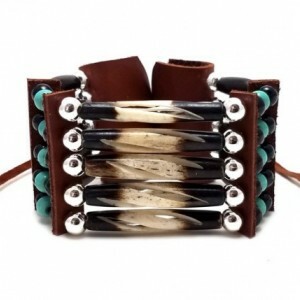 - 100% handmade in the USA. We accept custom orders, just message us to discuss your ideas.